Starchild & The New Romantic - Language. Vinyl LP, CD. Bleep. 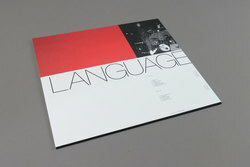 Ghostly's RNB edge shines strongly on Starchild & The New Romantics debut album Language. 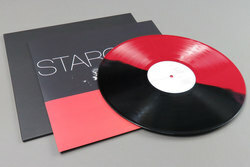 If you are a fan of Sampha, the more lite end of Jessy Lanza or venturing further back to Jamie Lidell's Warp-pop sound, then Starchild & The New Romantics boogie and funk/soul side could be just the record have been searching for. Landing two years on from his promising debut EP Crucial, Starchild & The New Romantic's debut album synthesises his deep understanding of his musical heritage within soul, funk and of course RNB. 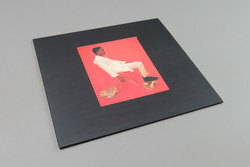 Many of the tracks here follow a similar template to those of his EP Crucial - layering his sugary sweet vocal delivery over all manner of 70s and 80s funk-soul chops, themselves freaked through the prism of contemporary electronics. The likes of ‘Language’ and ‘If Only U Knew’ come across like some of the most experimental edges of Prince. 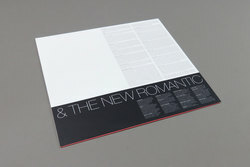 While the lyrics provide the LP’s centre of gravity, bringing it all together with a tightly recorded live group sound. Moving in the same sounds as the aforementioned artists Sampha, Jessy Lanza and Jamie Lidell, Starchild & The New Romantic's American influence is sure to make his name one to watch within the new wave of RNB producers experimenting with electronics to help carve out something new, their own sound and vision from some classic, yet familiar shapes.